I would like to use a few songs from Spotify for my video projects. Is it possible to move or take the song from Spotify outside of the Spotify application? Sometimes you need to make a video project, and would like to use a melodious Spotify song as the background music or add it to a specific scene to make the video more attractive, but any of your attempts to move Spotify songs outside of the Spotify application end in failure. It is impossible. Why? Actually, each of Spotify song is encrypted by DRM, which prevents users from streaming without authorization. 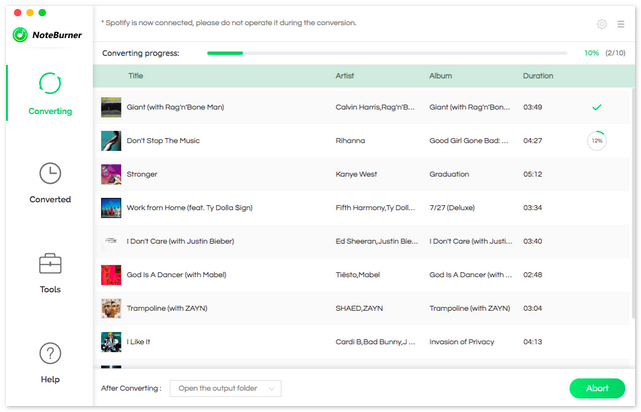 The Free users only can listen to Spotify music online with the interrupt of advertisements. Even the paid users, who are allowed to download Spotify music for offline enjoying, also can’t move the song from Spotify outside of Spotify application to a movie maker program. Is there really no way to move Spotify tracks outside of Spotify application for a video project? No, luckily, there is wonderful program comes to help you. 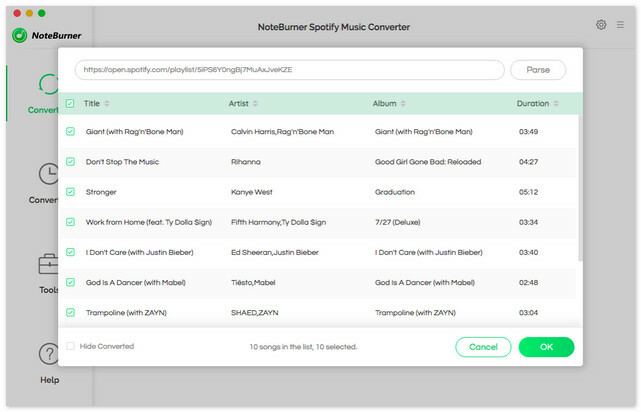 NoteBurner Spotify Music Converter is a professional Spotify music converter, which can legally remove DRM from Spotify songs and playlists, and convert Spotify songs and playlists to MP3, AAC, FLAC or WAV. Thus, you can move Spotify music outside of Spotify applecation, enjoy and use Spotify music freely. 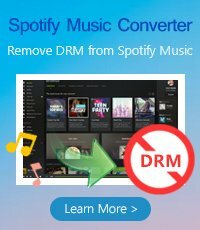 The following is a detailed tutorial about how to remove DRM from Spotify music. Please download this useful tool on your computer first before getting started. 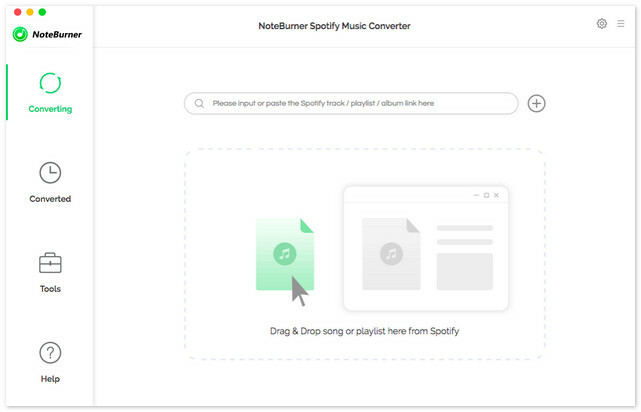 Launch Spotify Music Converter on Mac. Spotify will be open automatically. 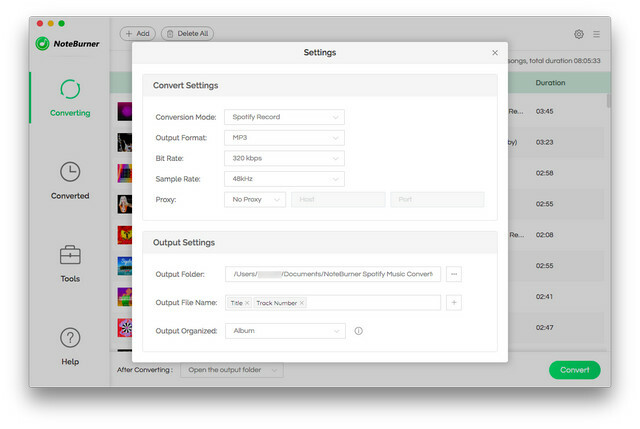 You will see the intuitive interface of Spotify Music Converter. You can add Spotify audio files by clicking "+" button on the top-left. Then choose the songs or playlist you would like to convert in Spotify and drag them to the add window of Spotify Music Converter. Directly click setting button on the top-right to choose output format. In Convert settings, you can choose output format (MP3, AAC, FLAC or WAV), output quality (High 320kbps, Medium 256kbps, Low 126kbps). In the output settings, you could change the output folder as you prefer. After customization, click "Convert" button to start conversion. After conversion, you can find the converted audio files by click history button. All of them in the list are DRM-free version, you can take the converted Spotify tracks outside of Spotify application for video projects freely.